More recently, the aviation industry has indicated signs of recovery with considerable growing demand forecast over the next decade in regions such as the Asia-Pacific and Middle East. In these regions, to operate a large number of aircraft produced in Ukraine and the countries of the former Soviet Union. Now Ukraine expands aircraft maintenance and repair offering in anticipation of probable contracts. Commercial and military aircraft maintenance and repair is an essential requirement to safely transport passengers, troops or cargo. In Ukraine, the major role in the aircraft maintenance and repair plays the state enterprise «PLANT 410 of Civil Aviation» (SE PLANT 410 CA). 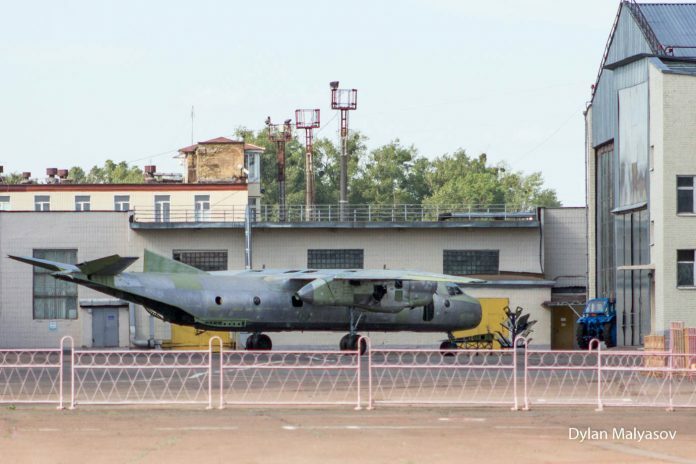 The SE PLANT 410 CA, which is a part of Ukrainian defence industry concern UkrOboronProm, is one of the leading enterprises of aviation cluster of Ukraine, specializing in heavy airframe maintenance and modification services and component maintenance, repair, and overhaul services for commercial and regional aircraft. The SE PLANT 410 CA as of today, executed overhaul more than six thousand aircraft and forty thousand the aviation engines. The enterprise occupies an area of over 236,000 square meters adjacent to the Kyiv International Airport (Zhuliany). Production area is equipped with all the necessary technological tools, tooling and equipment and makes up for more than 170,000 square meters, where overhaul. The SE PLANT 410 CA represents the powerful aircraft-repair enterprise, that can carries out a full work cycle of overhaul of aircraft An-24,-26,-30,-32 and aviation engines D-36 of a series 1, 1А, 2А, for aircraft Yak-42, An-72,-74, repair of units of aviation technique, and also the works connected with restoration of aviation details. 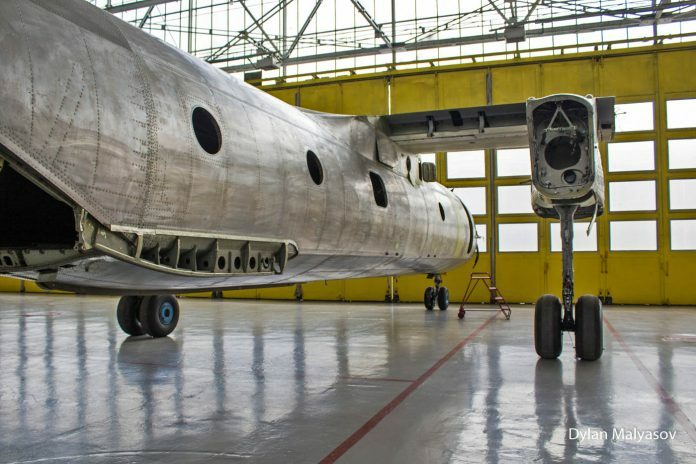 On performance of works on overhaul, modernization, re-equipment and maintenance service of aircraft such as “Antonov”, the plant has certificates of interstate aviation committee, Ukrainian national aviation authorities, the certificate of conformity of the Russian aviation authorities. The system of quality of the plant is certificated under the international standards of series ISO, and also airspace complex AS / EN. Taking into account, that works on repair of military planes performed, the factory has the certificate of the standard of the NATO – AQAP 2120, and also the license of the Ministry of industrial policy for repairing of military aviation technique. One of the directions of development is the realization of the program maintenance and repair of Soviet-made helicopters. 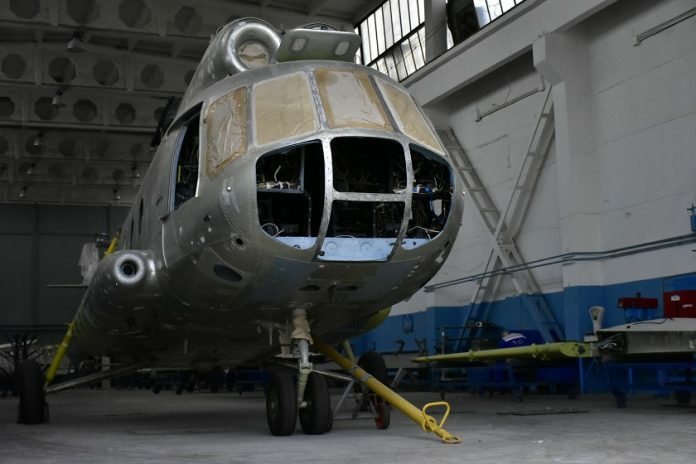 The enterprise conducts restore after overhaul, re-motorization, and modernization of Mil Mi-8 medium twin-turbine helicopters, for use in a national economy and Ukrainian Defence Forces. Realization of the project carried out together with joint-stock company “Motor Sich”. The SE PLANT 410 CA has also successfully completed MI-8MSB helicopter overhaul and upgrade having fitted it with a Motor-Sich-made advanced TV3-117VMA-SBM1 engine, avionics, Air Ambulance Technology-made intensive care units. The retrofit helicopter was handed over to the Customer on 11.08.2016. Currently, other three Mi-8T helicopters are undergoing overhaul and upgrade. The Armed Forces of Ukraine, the National Guard and Border Guard also act as clients of the SE PLANT 410 CA enterprise. In 2016 enterprise specialists repaired 6 aircraft, according to aircraft equipment overhaul and modernization schedule, that was reported by UkrOboronProm. During repair each vehicle was completely dismantled and all components and devices were repaired/replaced by new ones. In addition, these aircraft also have new modern digital navigation and communication systems. 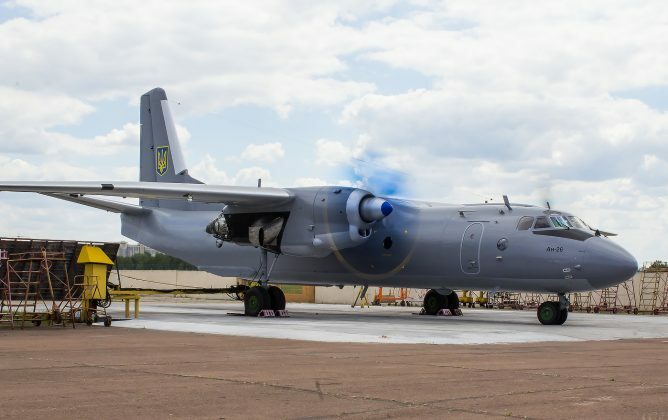 The SE Plant 410 CA is a leading enterprise in Ukraine, providing overhaul of D-36 engines, installed on military transport aircraft An-72, in service with the National Guard of Ukraine and Border Guard. In addition, the same engines are installed on An-74 and Yak-42 aircraft, operated in many countries. The collective of a factory makes huge efforts on preparation for certification on norms and rules of the European organization on safety in aircraft EASA (PART-145, PART-147, PART-66, PART-M). 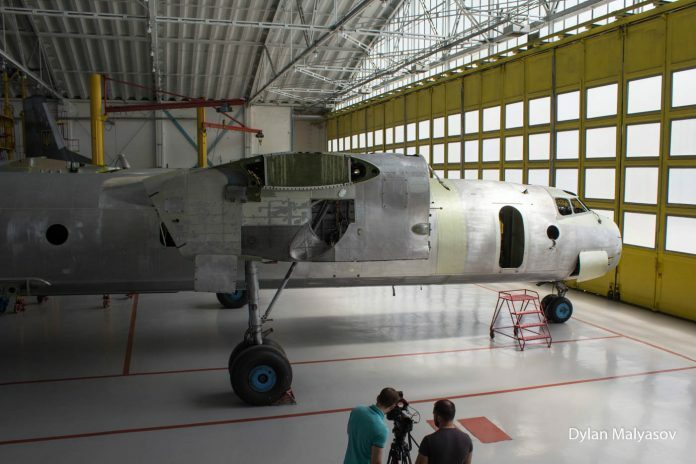 It will allow to diversify the work not only on technique such as Antonov, but also to carry out maintenance service of planes of foreign manufacture. The enterprise already has such customers. For today maintenance service more than 15 airliners Boeing-737 is carried out. On the areas of a factory planes MD-80,-82,-83 are served. Also, plant fruitfully works with business aircraft. This and the active efforts of the foreign economic activity of the plant, the enterprise consistently receives new orders for aircraft repair and modernization not only from domestic customers, but also firmly entrenched in the international market, which provides foreign exchange earnings to the state. The main foreign clients of the SE PLANT 410 CA is the Republic of India, Republic of Kazakhstan, the People’s Republic of Bangladesh, Hungary and other countries. Over the past two years, exports to foreign countries increased by 2 times, from UAH 168.4 million UAH in 2014 up to 345.3 million UAH in 2016.